Einstein’s theory of relativity claimed that faster-than-light speeds are impossible. But some physicists are no longer sure about that notion. 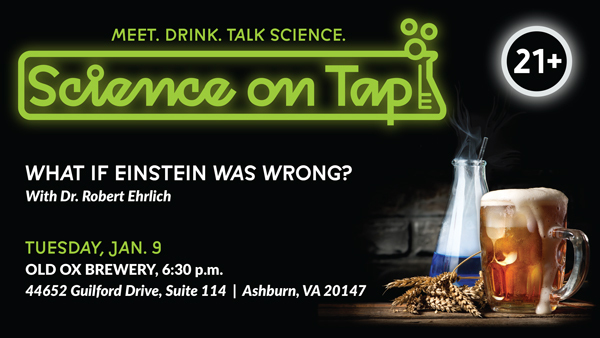 This discussion, led by Dr. Robert Ehrlich, former chair of the Physics Department at George Mason University, will take a look at what faster-than-light speeds imply, and the evidence as to whether faster-than-light particles might actually exist.